The city-sized, deep-space cruise ship "Infinity 8" stops halfway en route between the Milky Way and Andromeda, blocked by a massive field of debris containing wreckage and artifacts from countless planets, cultures, and possibly dimensions. The captain of the ship calls upon eight of the ship's top security to investigate the anomaly, each one sent out in a parallel time-loop to collect information which can then be assembled to hopefully discover the truth before disaster erupts. But danger reveals itself within the interspecies population on the ship, some of whom may know more than they lead on . 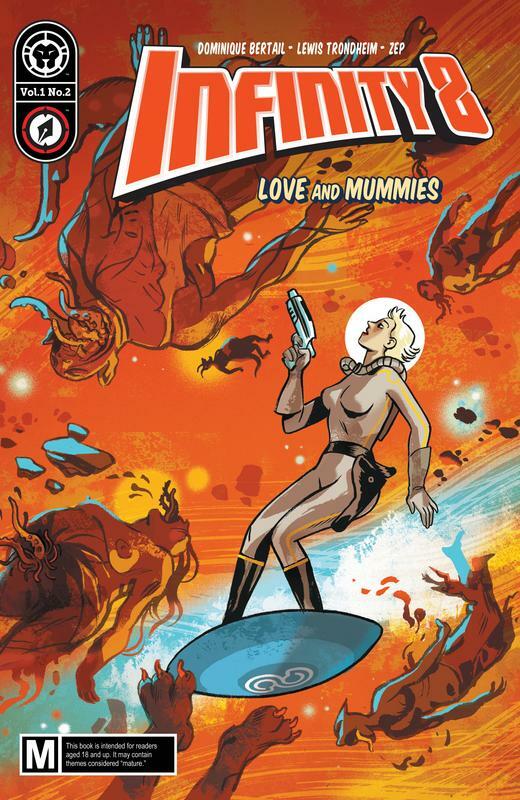 . . A far-out, pulpy, sci-fi series of parallel adventures by some of the most popular creators in France, in the tongue-in-cheek tradition of the original Heavy Metal but for a new generation. Eight different 3-issue miniseries/hardcover collections, all by a different creative team, led by legendary Lewis Trondheim and Olivier Vatine. 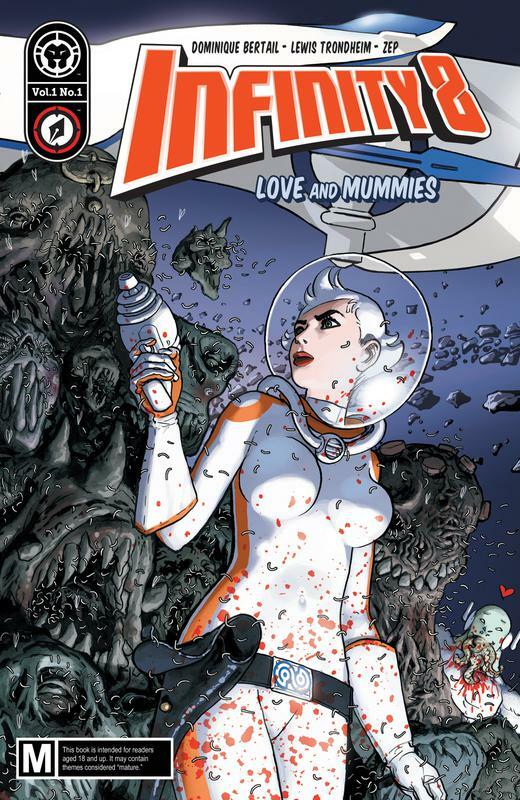 Part One of the first 3-part arc, "Love and Mummies."